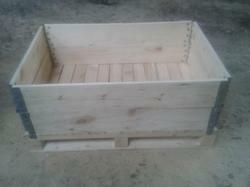 Prominent & Leading Manufacturer from Pune, we offer euro pallet, wooden boxes, euro pallets and euro pallet side cover. 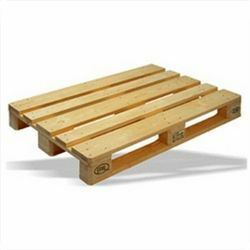 Our Euro Pallets have strict standardizations set by the European Pallet Association. These Euro Pallets even extend to the kind of wood used and the type of nails. Our impressive Euro Pallets are made of silver wood and pine wood. 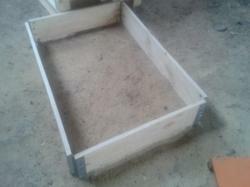 Euro Pallets are highly durable and efficient. Euro Pallets are basically used for packing shipping material to European countries as they meet the parameters required in those countries. Aluminium hinges on all 4 sides enable these pallets to be easily folded and retained for repeated use. We are providing the wooden Boxes in best quality to our customers. We provide the boxes in different sizes. 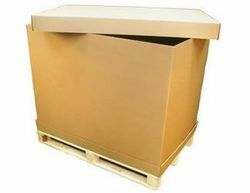 Our Euro Pallets Side Cover have strict standardizations set by the European Pallet Association. These Euro Pallets even extend to the kind of wood used. Aluminium hinges on all 4 sides enable these pallets to be easily folded and retained for repeated use. Looking for Euro Pallets ?